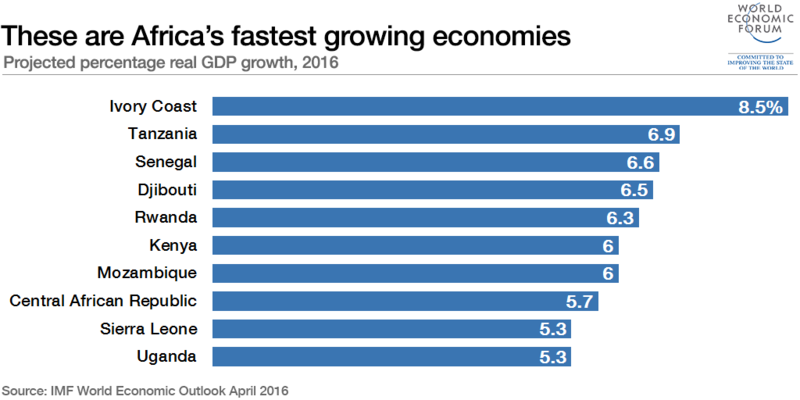 Which are Africa’s fastest growing economies? The Ivory Coast is Africa’s fastest growing economy, according to the IMF’s latest World Economic Outlook. The West African nation’s GDP is expected to grow by 8.5% this year. The Ivory Coast’s economy has benefited from government policies and structural reforms, which have resulted in strong inclusive growth, according to the World Bank. Strong economic activity has been maintained through a strong aggregate demand and increases in investment, both public and private. Following in second place is Tanzania, with projected growth of just under 7% this year. Senegal completes the top three, with 6.6%. Countries from across Africa feature in the top 10, emphasizing the economic gains being felt around the continent. 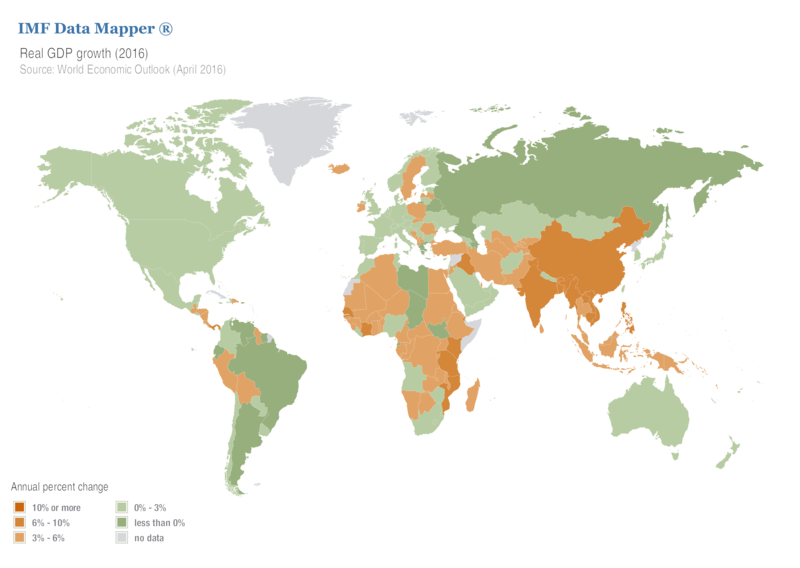 As this map from the IMF highlights, compared with much of the developed world, economic growth is relatively high in Africa. GDP in many African countries is projected to grow by over 2% this year. However, ahead of the World Economic Forum on Africa, it is important to recognize the challenges that many African economies face – the commodities slump, currency devaluations and geo-security risks all threaten growth. The Forum will highlight the need for diversification in order to ensure inclusive economic growth. The Fourth Industrial Revolution has the potential to create new industries and help reduce inequality across the continent. By implementing reforms and establishing partnerships, African nations can take advantage of these rapid technological advances. The World Economic Forum on Africa 2016 will take place in Kigali, Rwanda from 11-13 May. How can Africa master the digital revolution?